Each of your specific requirements will be taken into consideration during this selection process. Our Travel Design Experts will map out your entire trip, with insider recommendations about where to go, what to do, and how to get around. Our experts offer a fresh perspective on trendy locations along with the hottest destinations for brides today. 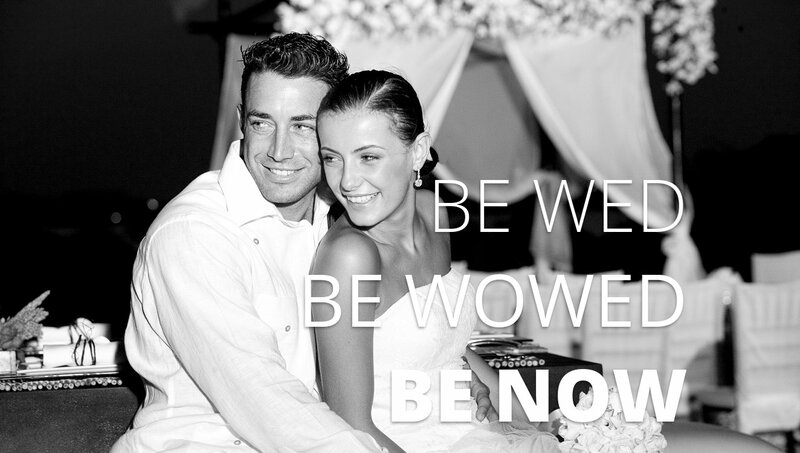 NOW Destinations offers services above and beyond traditional destination wedding companies; all at a more reasonable expense. Your NOW Destination Wedding Specialist can help you plan and create a Destination Wedding that reflects your vision, style, theme and personality, and is dedicated to working with you throughout the entire planning process. Our wedding packages include the specific details on the services we offer our clientele. The main function of our service is to ease the planning process as much as possible - we want your only worry to be the writing of your vows. Destination Consultation: NOW Destinations will hand pick a destination and resort based on your criteria. With over 300 resorts and hotels to choose from, we are positive that our recommendations fit your style, group size, budgets, logistics and of course your overall vision of your dream wedding. Group Travel Services: NOW will coordinate all your group travel requirements from the day we begin planning your wedding until you ultimately return from your wedding and honeymoon. The NOW team will receive the industry’s best group rates for air, hotel accommodation, travel insurance, airport transfers, car rentals, tours and excursions, and any other service your group may require. Wedding Date: We will confirm and ensure the availability of your wedding date. Travel Concierge: Offer personal travel planning services for each group member on a one-on-one basis. Every client will be treated equally and with priority to ensure the planning process runs as smoothly as possible. Free Wedding Website: All couples now receive a free wedding website. Your personalized wedding site can be sent to your guests to keep them up to date on the travel details, it will tell them about yourself, and let them know about your plans. All NOW wedding sites include a dynamic image gallery and RSVP system to keep track of all of your guests. Wedding Requirements: Advise you on all the requirements for a legal or symbolic wedding for the desired destination. All countries require different legal standards for weddings and we will make sure you are fully informed of their procedure(s). Private Meeting: Let’s meet. We will conduct a private introductory meeting at our main office, conference call or Skype. This will act as an informative meeting to learn more about our company and what services we will be conducting for you. Room Upgrade: Complimentary room upgrade for bride and groom during your wedding vacation and honeymoon. *Dependant on availability during check-in. Coordination with On-Site Planner: We will bring you and the hotel’s on-site wedding coordinator together. This is to help ensure that all 3 parties are on the same page. We keep in touch with the coordinators throughout the planning process, but you can too if need be. Honeymoon: Complimentary planning and booking of your honeymoon. Anniversary: Complimentary planning and booking of a first anniversary getaway. Your guests may or may not be included for this. *NOW Wedding Concierge Package services are complimentary. They are at are at NO additional cost. On-site Wedding Specialist: NOW Destinations will send a destination wedding specialist to the resort for the pre-wedding, day-of and post-wedding arrangements that need to be attended to. The wedding specialist will coordinate with the resort wedding planner to ensure that the bride and groom can relax and spend time with guests for the entirety of the stay. Our on-site wedding specialist will oversee all of the details for your ceremony, reception and even your next day brunch. Pre-Wedding Meeting: If you are an out of town client and would like to meet one of our wedding specialists to help give you peace of mind, we will do it. We will fly down to your destination for an informative meeting so we can learn more about your vision and meet face to face. Special Events and Tours (Spa and Golf): How does a bridesmaid spa day sound? Or a golf retreat for the groomsmen. We will design and plan the perfect day leading up to or following the wedding. Other such coordination includes tours of the island, welcome cocktail party, post wedding farewell brunch and/or a sunset cruise. Full Wedding Planning Services: Our NOW Wedding Design experts will help create your vision into reality. We will consult with you on your overall design, color, and theme ideas. In addition, we will coordinate all aspects of the wedding directly with the resort so you don’t have to. This includes coordination of: Flowers, Spa & Golf Services, Wedding cake, Wedding Music, Officiant, Photography, Videography, Ceremony and Reception Decorations, Service Staff and Equipment and advise on menu options. Vendor Management: If you opt to choose your own vendors, we’ll help coordinate and screen vendors on your behalf and also (if necessary) negotiate and review all contracts. We will maintain full communication with all vendors throughout the wedding planning process to relieve the stress of doing that yourself. *NOW Wedding Diamond Package includes ALL services from the Concierge package plus Diamond package. Services can be added at an additional cost. Options include either full package purchase or a la carte services (pay per service).